One of the persons travelling on a stolen passport on missing Malaysia Airlines jet was a young Iranian who is not believed to have terrorist links, Malaysian police say. Police say the 19-year-old – named as Pouria Nour Mohammad Mehrdad – was probably migrating to Germany. Investigations are continuing into a second man using stolen documents. 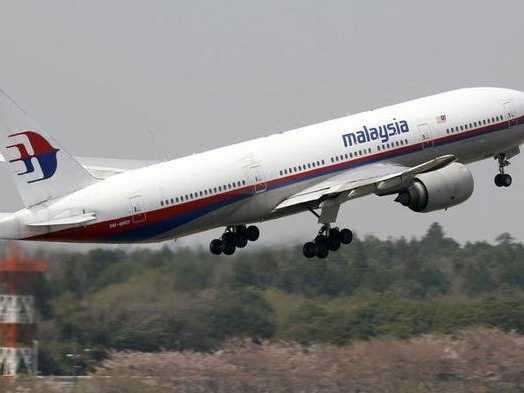 Malaysia Airlines Flight MH370 from Kuala Lumpur to Beijing went missing on Saturday, after taking off with 239 on board. The search has been widened. Experts have said the presence of two people with stolen passports on a plane was a breach of security, but is relatively common in a region regarded as a hub for illegal migration. Malaysia’s police chief Inspector Gen Khalid Abu Bakar said the young Iranian was “not likely to be a member of a terrorist group”, adding that the authorities were in contact with his mother in Germany, who had been expecting her son to arrive in Frankfurt. He says the friend and another Iranian, also using a stolen passport, stayed with him before taking the Malaysia Airlines flight, and that they had hoped to settle in Europe. Reports from Thailand suggest that the tickets of the two men, routing them to Amsterdam via Beijing, had been bought through a Thai travel agent and an Iranian middleman. None of the debris and oil slicks spotted in the water so far have proved to be linked to the disappearance. Four areas of investigation were focused on the possibility of human agency, the police chief said: hijacking, sabotage, psychological problems or personal problems with passengers or crew. Malaysian civil aviation chief Azharuddin Abdul Rahman said the search was being conducted “on both sides” of the peninsula. The area has been expanded from 50 nautical miles from where the plane had disappeared – over waters between Malaysia and Vietnam – to 100 nautical miles (115 miles).